Located on the Creuddyn peninsula, which extends into the Irish Sea, Llandudno is a seaside resort town in North Wales. It has a population of slightly over 20,000 people. Llandudno, North Wales is in the UK holiday destination top 10 list of TripAdvisor and this is because the Victorian seaside resort has always being one of the best towns to live in Wales and one of the most amazing places in UK. Below are 4 out of the numerous advantages of living in Llandudno. People visit Llandudno to relax. It is an excellent and delightful holiday resort for getting the most pleasure of the Sea and countryside of countless castles and golf courses. Llandudno beach is a perfect place to stroll and feel the beauty of nature –away from the hustle and bustle of life. 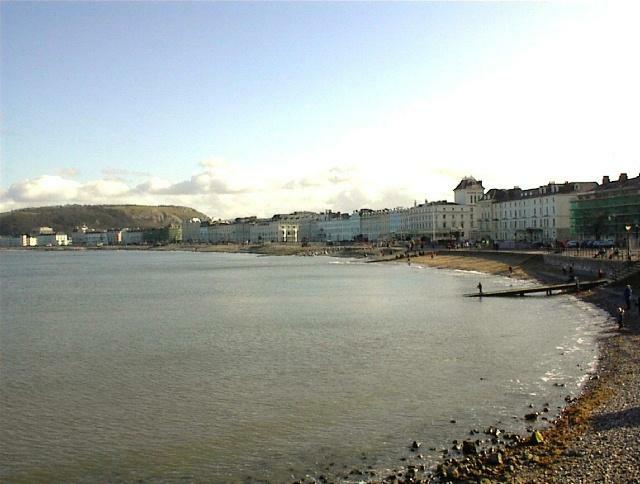 According to Rightmove and some surveys carried out, Llandudno is among the three happiest places to live in Wales as people that live there are generally happier. Imagine how sweet it would be to live in such elegant environment that people turn to when they need a relaxing and happy moment. With estate agent Llandudno, you can enjoy a relax in the soothing environment of Llandudno in your own home. There are loads of beautiful and well-structured residences at Llandudno, situated in safe, secure and perfect places. Estate agents Llandudno are professionals that will provide you with suitable properties that suit your taste. If you want to buy or rent any property, simply contact any of the numerous estate agents in Llandudno and they’ll get you just what you need at affordable prices. There are so many beautiful places in this town, such as Llandudno Bay and the North Shore; Happy Valley, which was a gift of Lord Mostyn to the town; West Shore, the quiet beach; Mostyn Street, running behind the promenade; Marine drive; Llandudno Pier on the North Shore, which was built in 1878 and many more. The beauty of the town cannot be overemphasized. The Victorian seaside resort is filled with numerous amounts of restaurants, bars, shops, hotels and business centers, which make it a retail and guest-friendly subdivision. There are quite a number of jobs available for working class individuals. There are also work benefits for employees that work in this town. Decent provision is also laid down for jobseekers. They receive decent allowance that sustains them until they find a job. The town of Llandudno is without doubt, an amazing place to live. With its numerous attractions, you can live a life of tranquillity, happiness, relaxation and lots more. Estate agents Llandudno can make that happen.